Today breaking up generating capacity in this way is called distributed generation, but the concept is not new. Municipal power plants supplying district heating schemes are an early example of the same concept. 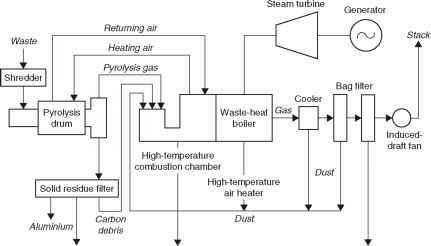 The potential for combining the generation of electricity and heat was recognised early in the development of the electricity generating industry. In the USA at the end of the nineteenth century, city authorities used heat from plants they had built to provide electricity for lighting to supply hot water and space heating for homes and offices. These district heating schemes were soon being replicated in other parts of the world. In the UK engineers saw in this a vision of the future. Unfortunately uptake was slow and it was not until 1911 that a district heating scheme of any significance, in Manchester city centre, was developed.2 Fuel shortages after World War I, followed by the depression made district heating more attractive in Europe during the 1920s and 1930s. Even so, take up was patchy. By the early 1950s district heating systems had become established in some cities in the USA, in European countries such as Germany and Russia, and in Scandinavia. In other countries like the UK there was never any great enthusiasm for CHP and it gained few converts. The centralisation of the electricity-supply industry must take some blame for this lack of implementation. Where a municipality owns its own power generating facility it can easily make a case on economic grounds for developing a district heating system. But when power generation is controlled by a centralised, often national body, the harnessing of small power plants to district heating networks can be seen as hampering the development of an efficient national electricity system based on large, central power stations. Power industry structure is not the only factor. Culture and climate are also significant. So while the UK failed to invest in district heating, Finland invested heavily. Over 90% of the buildings in its major cities are linked to district heating systems and over 25% of the country's electricity is generated in district heating plants. Technological advances during the 1980s and 1990s made it possible for smaller factories, offices and even housing developments to install CHP systems. In many cases this was aided by the deregulation of the power-supply industry and the introduction of legislation that allowed small producers to sell surplus power to the local grid. Since the middle of the 1990s the concept of distributed generation has become popular and this has also encouraged CHP.